Caroline Jordan Fitness Tip Of the Week: Anti-Gravity Running…. WHAT IS IT?! Caroline Jordan Fitness has teamed up with the M2 Revolution Performance Center in San Francisco, home of the ANTI-GRAVITY TREADMILL. This endurance training center in Nob Hill houses a CycleOps Indoor Cycling studio, power-based fitness testing, a functional training floor, and the unique anti-gravity treadmill. This week I took a test run on this revolutionary piece of training equipment and had an incredible experience! I’ve been trying to share my story of weightless running in class…. but it seems to be a hard concept to convey in conversation! Instead of confusing you all, I thought I’d make it this week’s blog topic. What is Anti-Gravity Running and how does it work? Read below for all the details on this dream machine…. An air sealed cushion around a runner’s midsection uses air pressure to un-weight the runner – imagine a cork being pushed up through a wine bottle. Meanwhile, the runner enjoys normal run range of motion – minus those pounds that the runner wishes to eliminate. Who can benefit from running with Alter G technology? Oh to be young again! With the Alter G, yes you can! Run at your college weight! M2 Revolution provides a variety of packages for its members and visitors to take advantage of this leading edge gravity technology. Come join us for a run, and check out M2’s power-based cycling classes while you are there. Would you try the ANTI-GRAVITY Treadmill? Leave a comment below if you would give it a test run and why you think it would help you improve your fitness or performance. I want to know if you would be daring enough to give it a go! Caroline Jordan Fitness Challenge of the Week: Fast and Fearless Running Workout! Fast and Fearless Treadmill Workout Challenge: 20-40 minute RUN! Set 1. 20 minute run. 0-5 minutes. Warm up with a 5 minute jog. Level 6.2 mph. 5-10 minutes. Increase the pace for 5 minutes. Level 6.5 mph. 10-15 minutes. Pick up the pace for another 5 minutes. Speed 6.8 mph. 15-20 minutes. Just a little bit faster for another 5 minutes. Speed 7.0 mph. 20-22 minutes. Rest if you need it by walking for 2 minutes. Speed 3.8-4.0 mph. Set 2: Interval time. Run 2 minutes, rest 1 minute (5 times). 24-25 minutes. Rest for 1 minute by walking or slow jog. Speed 4.0 or 6.0 mph. 25-27 minutes. Increase the speed by 0.1 mph and run for 2 minutes. Speed 7.6 mph. 27-28 minutes. Rest for 1 minute by walking or slow jog. Speed 4.0 or 6.0 mph. 28-30 minutes. Increase the speed by 0.1 mph and run for 2 minutes. Speed 7.7mph. 30-31 minutes. Rest for 1 minute by walking or slow jog. Level 4.0 or 6.0 mph. 31-33 minutes. Increase the speed by 0.1 mph and run for 2 minutes. Speed 7.8 mph. 33-34 minutes. Rest for 1 minute by walking or slow jog. Level 4.0 or 6.0 mph. 34-36 minutes. Really crank it up now. Increase the pace by 0.2 mph and run for 2 minutes. Speed 8.0 mph. 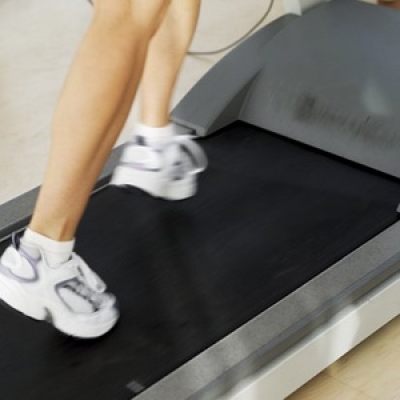 36-37 minutes.Rest for 1 minute by walking or slow jog. Level 4.0 or 6.0 mph. 37-42 minutes. Let’s finish strong. Run at jogging speed for 5 minutes. Level 6.2 mph. Be sure to complete your walk/run with a cooldown and stretch. Drink plenty of water and congratulate yourself for another fearless workout! Dont forget to LEAVE A COMMENT BELOW when you have completed your session. I want to hear how it went and congratulate you on your success. Most importantly….. TUESDAY SEPTEMBER 27th is my BIRTHDAY! Join me in class for a special CELEBRATION WORKOUT. Details for all the fitness festivities can be found HERE. Party playlists, colorful spandex, and coconut water…. what more could you want?! Hope to see you there! Thanks again for everything! Have a great week and happy running! My BIRTHDAY PARTY. Come join me! M2 Revolution Cycling Studio Class Schedule.